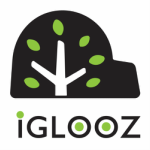 Privacy Statement - iGLOOZ Ltd. This Data Privacy Statement applies to the collection, processing and use of your personal data ("data processing") that occurs through your use of our websites including our online shop. Igloozdesign.com is committed to protecting your privacy. We use the information collected primarily to fulfill your order, to keep you informed of your order status, special offers and latest product news, and to make our services more rewarding for you to use.